I love this fun and easy Super Bowl party dessert. These football ice cream sandwiches start with store bought sandwiches and you just add the stick and a little frosting. Those sticks are super cute too! And what a brilliant idea. I think I might eat ice cream sandwiches on a stick from this day forward. No more trying to peel the cookie portion off of your fingers! 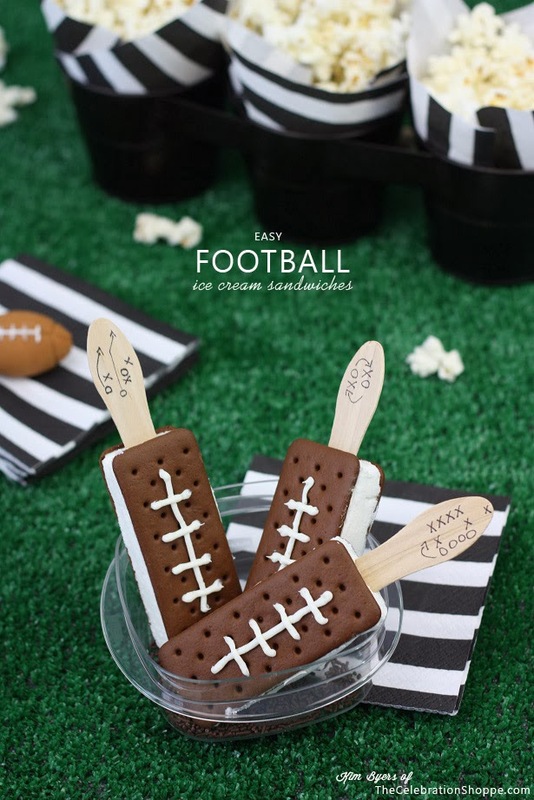 You can check out how to make easy football ice cream sandwiches for your Super Bowl party over at The Celebration Shoppe.